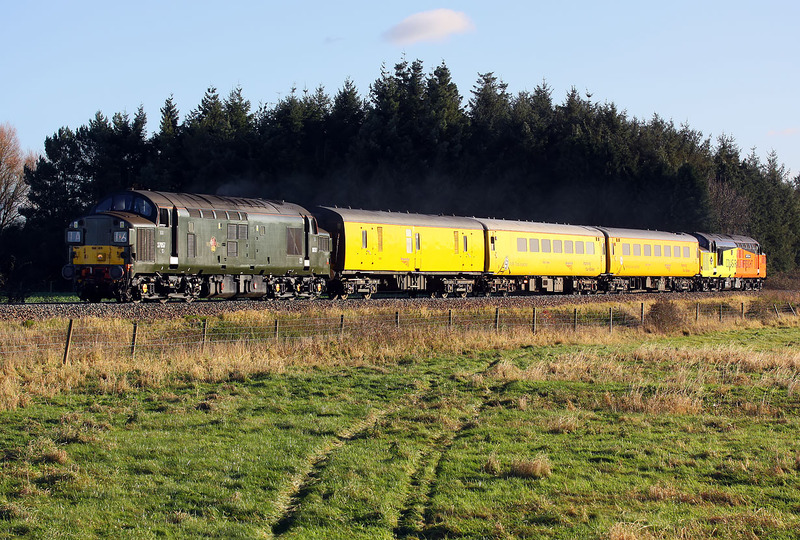 D6757 (37057) passes Lyneham on 30 November 2017 with the 1Z23 08:16 Bristol High Level Siding to Tyseley Network Rail test train, with 37254 Cardiff Canton bringing up the rear. This train had just detected a track problem near Finstock, which caused several cancellations, and some late running for the rest if the day. Most locations on the southern section of the Cotswold Line are backlit for this train, but I chose this spot as I particularly like the way the small wood forms an ideal backdrop for the short train.